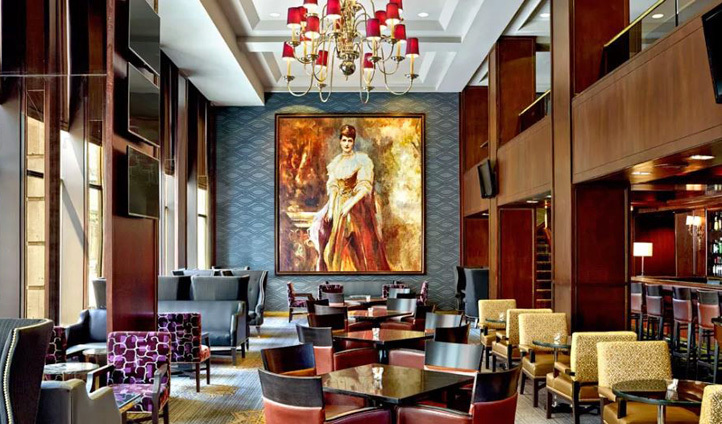 The Omni King Edward Hotel was one of the first luxury hotels built in Toronto, and as you can imagine, is very grand. Portraits of British royalty line the vast walls of this flamboyant residence, emphasising further the royal nature of your city abode. Located in the Old Town and not far from Downtown, a stay here can guarantee your proximity to some of the best sites Toronto has on offer. The hotel is within walking distance to City Hall, the Eaton Center (for shopping) and as close as you could ever want to be to the CN Tower. 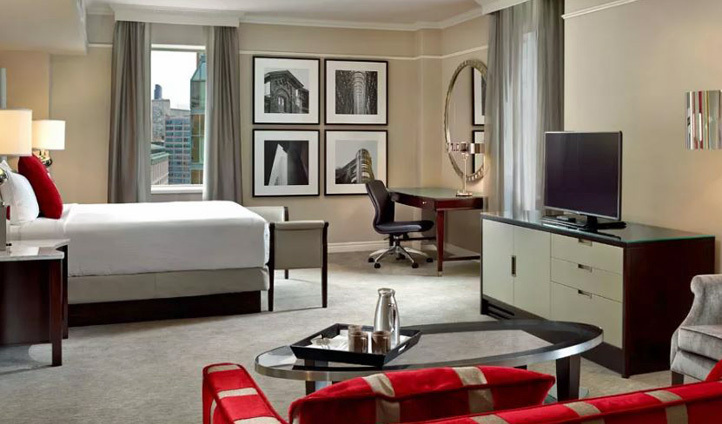 Regal red highlights the suites here that combine Canadian design with British heritage. The rooms are spacious, airy and contemporary and feel somewhat indulgent. Having recently undergone a 40 million dollar renovation, you’ll find your lodgings offer the very finest in furnishings, custom bedding and large marble bathrooms. All to create a palace-like affect that’ll be hard to leave behind. This hotel is the perfect place to stay for a first timer to the city. Not only does it give a real flavour of Toronto, both new and old, but it also provides easy access to the city’s best attractions. Plus you get to pretend you’re a royal for a while as you recline in your palatial boudoir – what could be better?